The perfect symbol of France's famous brand Kenzo, you're little one is going to love this classic Tiger Sweatshirt by Kenzo in a gorgeous shade of blue. blue stretch flamed cotton sweatshirt features the Kenzo tiger symbol embroidered on the front. This super comfy and fashionable sweatshirt has a round stretched ribbed neckline, sleeve trims and waistband. Kenzo Kids offers a gorgeous mini me collection based on the French Kenzo Men & Women’s collection. 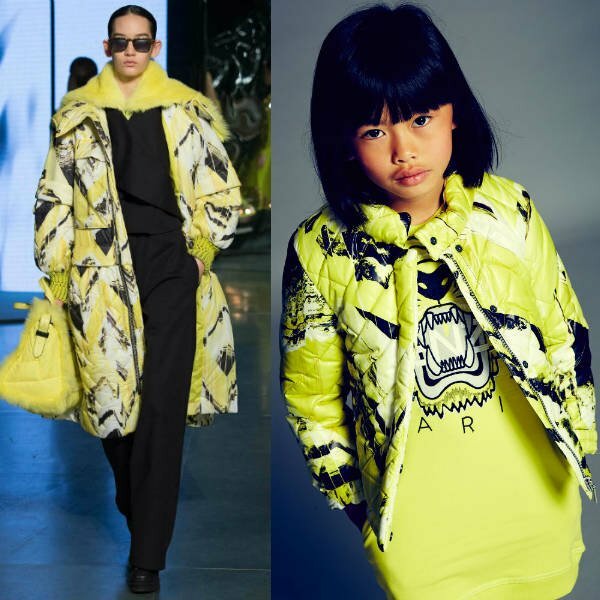 Discover more about Kenzo Kids Clothing.